This is a working list. If you feel a resource is missing from this page and should be added, please email us. New Mexico Acequia Association (NMAA): The New Mexico Acequia Association protects water and our acequias, grows healthy food for our families and communities, and to honors our cultural heritage. You can find a map to local acequia associations at the link below. Center for Social Sustainable Systems (CESOSS): CESOSS protects and preserves ways of life and traditions connected to land and water in the Valle de Atrisco (South Valley). CESOSS strongly believes in community-based and community-led advocacy, research, and policy development and is a local leader in these realms. Rio Grande Farmers Coalition (NYFC-affiliate chapter): RGFC organizes farmers and ranchers as part of NYFC in New Mexico’s Middle Rio Grande Valley. 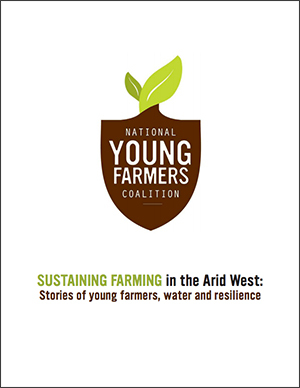 Northern New Mexico Young Farmers Association (NYFC-affiliate chapter): NNMYFA organizes farmers and ranchers as part of NYFC in and around Santa Fe. New Mexico First: New Mexico First is a public policy organization that engages people in important issues facing their state or community. New Mexico Environmental Law Center: New Mexico Environmental Law Center is a non profit, public interest law firm that provides free and low-cost legal services on environmental matters throughout New Mexico. New Mexico Farmer-to-Farmer Training Program: The New Mexico Farmer-to Farmer Training Program provides farmer-to-farmer training. The program is led by Don Bustos, AFSC director. Quivira Coalition New Agrarian Program: The New Agrarian Program partners with farms and ranches in the Southwest to design and implement season-long apprenticeships. Rocky Mountain Farmers Union: RMFU represents family farmers and ranchers in Wyoming, Colorado, and New Mexico and is dedicated to sustaining our rural communities, to wise stewardship and use of natural resources, and to protection of our safe, secure food supply. Rio Grande Community Farm: RGCF operates a certified organic farm on public land using sustainable agricultural methods with the goal of growing food as well as demonstrating these methods for the farming community. Rio Grande Community Farm offers a farmer training program and other community-based educational events. Middle Rio Grande Water Conservancy District (MRGCD): MRGCD operates, maintains and manages irrigation, drainage, and river flood control, promotes efficient and responsible water management, helps protect the environment, and provides recreational opportunities within the region. Office of the State Engineer: The State Engineer has authority over the supervision, measurement, appropriation, and distribution of all surface and groundwater in New Mexico, including streams and rivers that cross state boundaries. The State Engineer is also Secretary of the Interstate Stream Commission. Interstate Stream Commission: The Interstate Stream Commission has broad powers to investigate, protect, conserve, and develop New Mexico’s waters including both interstate and intrastate stream systems. Regional water plans: Stay engaged with regional water plans and how they impact agriculture in your region. Utton Transboundary Resources Center at University of New Mexico School of Law: The Utton Transboundary Resources Center researches and provides information to the public about water, natural resources and environmental issues. 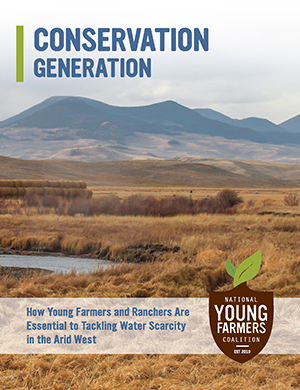 Agrarian Apprenticeship: A Guidebook for Growing The Next Generation of Ranchers and Farmers. This book by the Quivira Coalition’s New Agrarian Program profiles apprenticeship programs around the US and is a guide to starting an apprenticeship on your ranch or farm. By Virginie Pointeau, Julie Sullivan, Sarah Wentzel-Fisher, and the Quivira Coalition. This guide includes links to surface water conditions, call lists, GIS maps, and more. How Diversion and Beneficial Use of Water Affect the Value and Measure of a Water Right: Is Use it or Lose it an Absolute? Colorado State University’s Water Institute Special Report. February, 2016. Interstate Compacts: “Who owns water in rivers? Does it belong to the state where the water originated? What about the states downstream? Who decides who gets how much water?” Learn more with the Colorado Foundation for Water Education. Citizen’s Guide to Colorado Water Conservation. Colorado Foundation for Water Education. “While water is limited, water demands have the potential to grow. 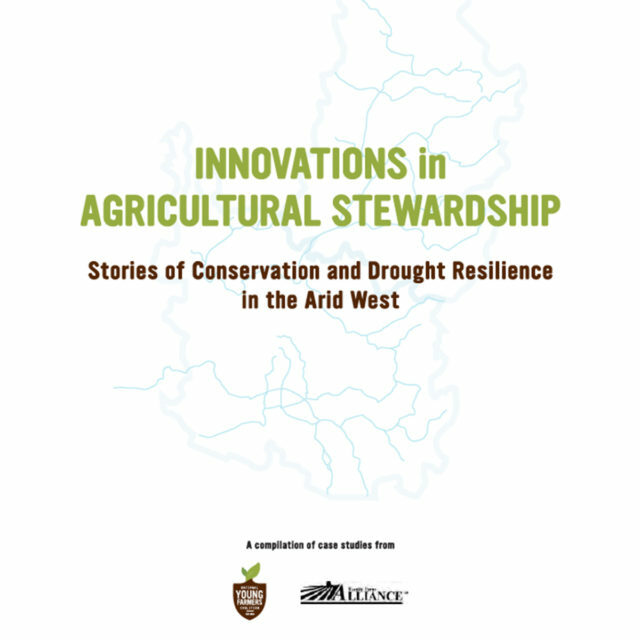 As demand increases, competition for water resources is intensifying, and so is the importance of efficient water use and water-conserving practices.” See pages 23-31 for resources on agricultural water conservation and efficiency.